Think streaming music, and the first name that springs to mind is probably Spotify—but there are some great alternatives out there. Both Apple and Google have music services for streaming, downloads, and playing local files across phones, tablets, and desktop. There are lots of different ways to compare the two services, but we’re going to try and simplify it by starting with all the similarities. 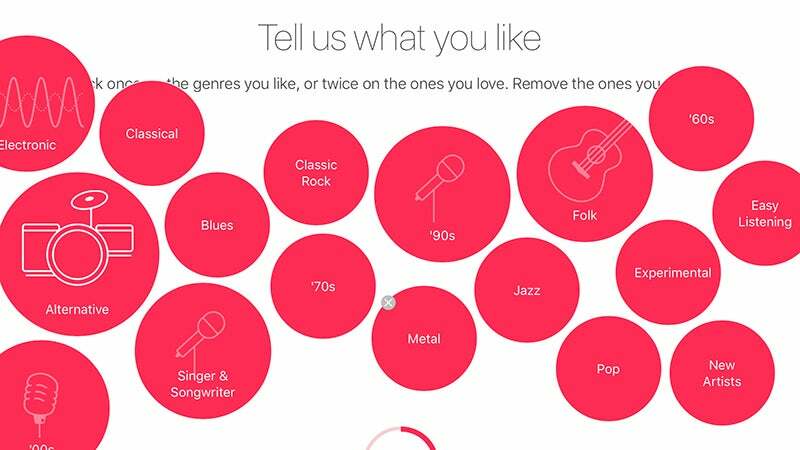 Here’s how Apple Music compares to Google Play Music. In a lot of ways, Apple Music and Google Play Music cover a lot of the same ground. They both work on Android, iOS, macOS, and Windows, and both let you manage local or purchased music for free. They also have an option to pay £10 a month for access to a streaming catalogue of about 35 million songs. All the major features are covered on both services: music recommendations, podcasts, radio mixes, and offline listening on mobile. 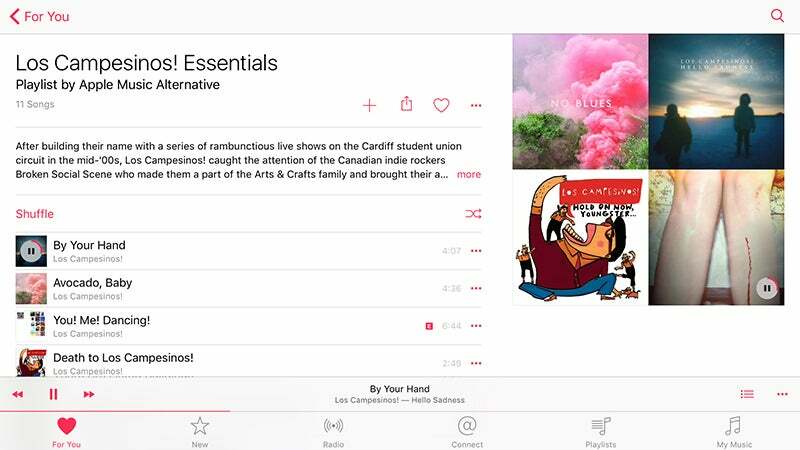 Apple Music emphasises human rather than algorithm-led curation for music recommendations, but the end result is practically the same. Both also let you build and share playlists, as well as love (or like) tracks. Apple Music runs through iTunes, of course, with a cloud element added on top via the iCloud Music Library; Google Play Music is completely web-based, with mobile apps and the option to monitor local folders for file uploads. There are difference in each feature set, but the competition is neck-and-neck when it comes to all the big features we use on a daily basis. That means look and feel is very important when it comes to deciding which suits you best. It’s also the hardest part to talk about objectively, because everyone’s tastes vary. The same rules that apply for iOS vs Android apply here: Apple Music is detailed and elegant (and perhaps too complicated), whereas Google Play Music is bright and bold (and perhaps too simple). Apple Music follows the iTunes aesthetic whereas Google Play Music follows the principles of material design, dominated by that big search box. 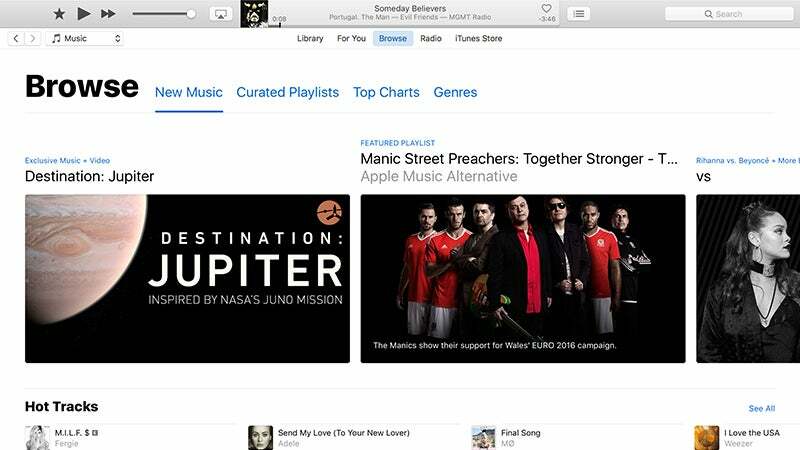 If you have a lot of Apple hardware or if you’ve grown up with iTunes , Apple Music is probably your best option. One or two of the biggest names in music have also released exclusives on Apple Music in the past—albeit for brief periods. 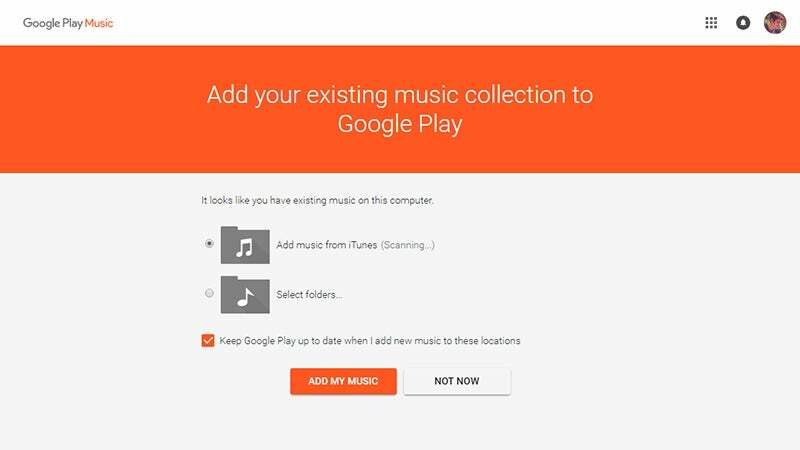 Still, it’s something that we haven’t really seen much of to date with Google Play Music. As clunky and complex as it is, iTunes does offer cool features like smart playlists, unlike the Google Play Music web app (at least not natively). If you want to queue up all the songs you haven’t heard in a month, or all the five-star tracks you’ve got from the 80s, then Apple Music is the service for you. Beats 1—the 24/7, celebrity-packed, hand-curated radio station broadcasting around the world—is something else Apple Music has and Google Play Music doesn’t. You might love it or loathe it, but unlike the streaming component of Apple Music, you can at least try it out for free. The “For You” recommendation pane is more comprehensive and seems to be more intelligent than Google’s comparable offering. Plus, you get the Connect social element (where artists share social updates with fans), though this seems to be going the same way as Ping. Being able to upload 50,000 of your own MP3s to the cloud, free of charge, so you can access them from anywhere, is a huge plus—though note that Google does an iTunes Match-style trick, so it stores its own copies of the songs if it can find them. Be careful when uploading your rarities and b-sides to be sure Play Music stores the right versions. iCloud Music Library, by comparison, offers space for 100,000 songs—as long as you’re paying for iTunes Match or Apple Music. 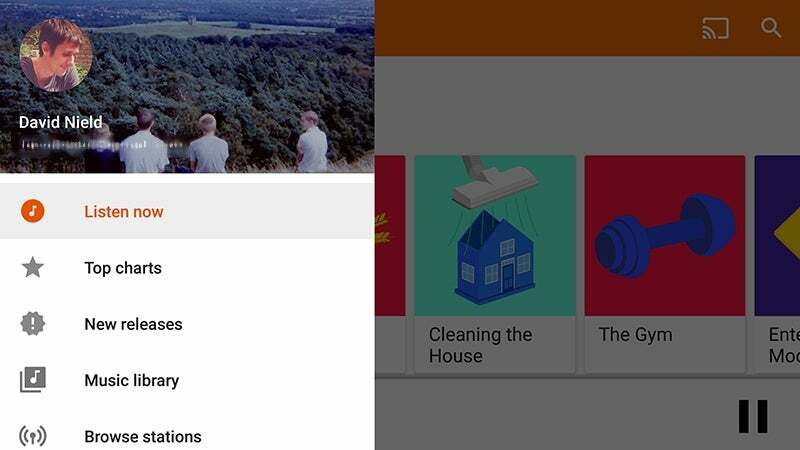 Google’s uploading is all done for free, whether or not you subscribe, and it’s also DRM-free. The web-only approach will be a benefit to some and a drawback for others. You can get at your library from any web browser, but you do need web access. 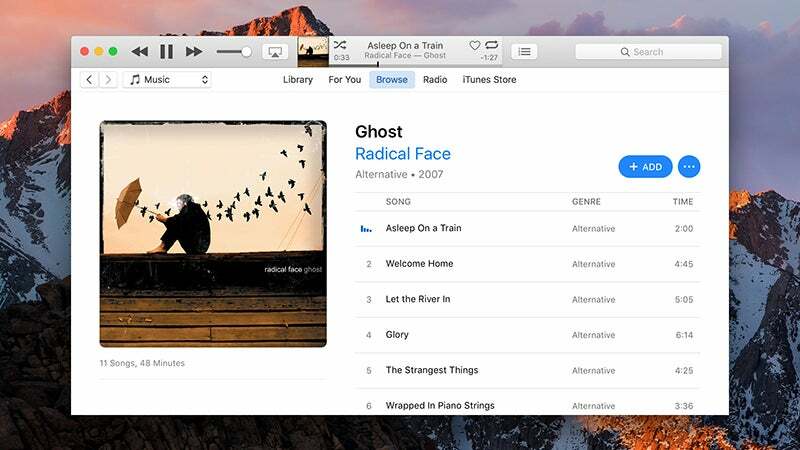 You don’t need to worry about where your vast iTunes library is, just whether or not you can get online. 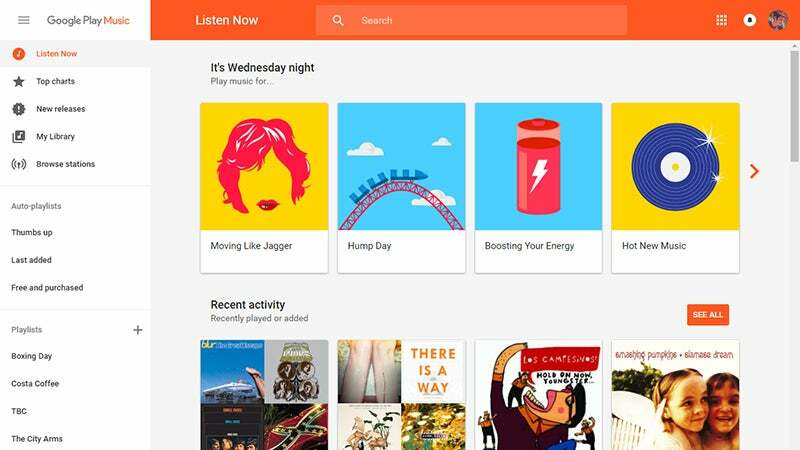 Google Play Music doesn’t have Beats, but it does have playlists based around moods and times of day, if you’re stuck for inspiration. We’ve talked about the (many) similarities and (few) differences between Apple Music and Google Play Music, but head-to-head comparisons will only get you so far in a personal choice like this. If you’re a seasoned iTunes user, you’re going to be much more comfortable with Apple Music, whereas if you’re completely new to iTunes, you’re probably going to find Google Play Music much more enjoyable to use. Google Play Music lives on the web, for better or worse, whereas Apple Music links back to the old days (2003-2015) of digital downloads. That is these two services in a nutshell, so proceed accordingly. If you really want to work out which one suits you best, then maybe shell out the £20 for a month and try them both. You’ll probably come across a host of little annoyances or delights that will help sway you one way or the other. There’s no real comprehensive winner here. 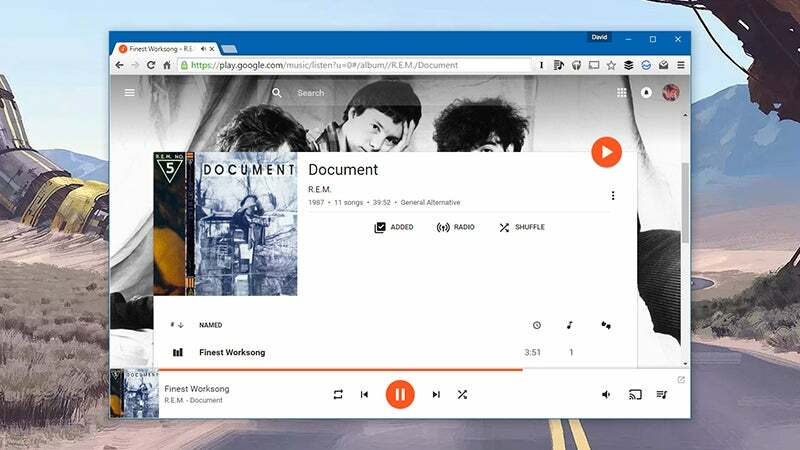 If you’re got a Chromebook, go for Google Play Music. If you already have a carefully cultivated iTunes library of 25,000 songs, go for Apple Music. If you use a Sonos setup at home, well, you can choose either.